We start our tour by tasting our way through Spain’s most famous wine region, Rioja. 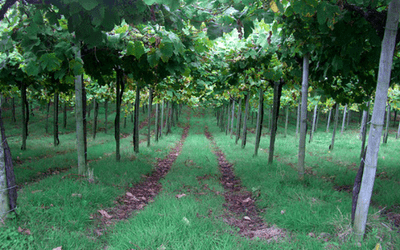 We’ll explore the outstanding cuisine and internationally famous wines the area is known for. We will get our fill of Tempranillo, Granacha, and Rioja Blanca, but we make sure to provide a well-rounded itinerary as we will taste both modern and classic wine styles, learn about a wide range of topics covering the complex history and culture of the area, and provide you with time on your own to make your own discoveries. In the second half of the tour, we’ll make our way to another one of Spain’s great food regions. 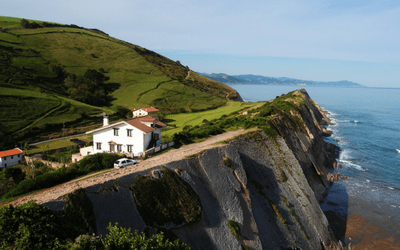 The fiercely independent Basque Country, or País Vasco as it is known in Spanish, is a picturesque mix of beautiful beaches, verdant agriculture, and sophisticated cities and small towns located in northern Spain. Perhaps above all, the Basque region is known as a true foodie paradise. Rumored to employ more chefs per capita than any other part of the world, the Basque region is full of culinary delights. It is also home to the indigenous Txakoli white wine, a crisp, lightly effervescent variety that naturally accompanies las frutas del mar of the northern coastline. Near the end of the tour, we venture out on a half-day side trip to the French side of País Vasco. Take part in a fun local tradition: a tapas crawl with delicious traditional foods paired with wine as you walk from bar to restaurant to bar – a walking feast! Contrast old world vs new world wines and take part in intimate private wine tastings at famous bodegas…and ones you may have never heard of! Your guide will meet you in the heart of Bilbao, Spain, after lunch. If you arrive the day before, you will have time to visit the Guggenheim Museum and wander the winding streets of the historic center of this modern Basque city. We start our tour in Rioja, the most respected wine growing region of Spain, and Haro, its wine capital. Haro is an ancient and beautiful town set on a hill above the River Ebro and is our base for exploring Rioja. On our way there, we’ll stop to expand our wine knowledge at the Vivanco Wine Museum where we will wander through their engaging exhibits that cover a wide range of wine subjects such as the origins of wine, wine accessories through the ages, winemaking methods, and different grape varietals. To top things off, we’ll then tour Vivanco’s own winery. Afterward, we head to the Hotel Los Agustinos, a lovely hotel with origins dating back to 1373! 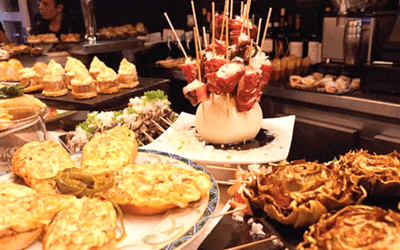 We’ll have some time to rest and ready ourselves to participate in one of the most famous local customs: a fun pinxtos (tapas) crawl of our favorite tapas bars of the city – a great way to try many of the local specialties! Today’s theme is Classic Rioja Wines. 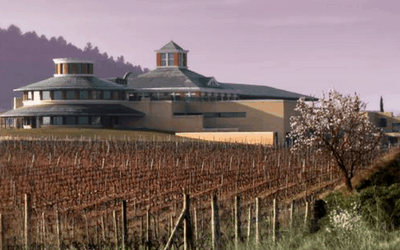 We’ll start out with a short walk to the prestigious Bodegas López de Heredia Viña Tondonia, or simply Viña Tondonia, a 137-year-old winery that offers one of the best tours and tastings we’ve had the pleasure to experience, as well as a funky, decanter-shaped tasting room. Next, we’ll head to tasty lunch at Restaurante Terete, the #1 rated restaurant in Haro on TripAdvisor. Established in 1877, they are quite famous for their locally-sourced stew and even more so for their lamb cooked in a wood-fired stove. Additionally, they have their own cellar stocked with plenty of incredible wines to choose from. After we’ve eaten our fill, you will have free time to explore (and perhaps walk off our hearty lunch) along the postcard-esque streets of Haro on your own. Later, we’ll reconvene for dinner, this time at Bohedal Bodega, a winery where we will experience an informal and fun Riojan meal eaten outdoors. And as a special treat, we cap off the night’s meal with wine ice cream! Today’s theme is modern wines! We will explore the modern style of Spanish winemaking as we head to our intimate private tasting at Viña Real, whose parent CVNE (pronounced coo-nay) is legendary and whose architecturally innovative structure is shaped like a giant wine vat set into the hillside. 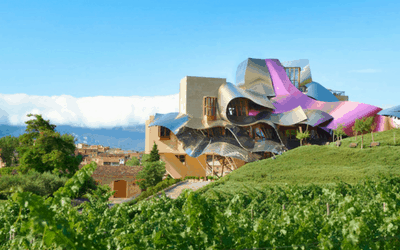 Afterward, we will shuttle to the nearby town of Elciego to lunch at the Marques de Riscal winery, world-famous for its architecture and hospitality. The incredible main building was designed by Frank Gehry and is intended to mimic the vines in the surrounding vineyards. We’ll eat in one of the two restaurants of the winery, both overseen by famous local chef Francis Paniego, and considered a must-stop destination for high-end food experiences in the region. Later this afternoon, we will visit the small town of Laguardia, a walled village that hasn’t changed much since the 13th century! This is where Bodegas Carlos San Pedro, a hidden gem winery, offers a barrel tasting in the underground caves below the city, as well as a taste of their locally-produced olive oil. We then let you free to plan your own dinner tonight — maybe you’ll be ready for an earlier night and more casual fare — dinners in Spain are typically quite late and last a while by American standards! After breakfast, we say farewell to the wonderful Rioja region, and say hello to the delightful Basque Country! We make our way to the town of Getaria which will be our home base for the next few days. We will be staying at the Hotel Saiaz where our rooms face the rolling waves of the sea, a reminder that the Basques have a long tradition of being master fishermen. Tonight’s dinner includes the wonderful grilled fish for which they are famous. But before that, our first stop of the day is at Urki, a newer winery that specializes in Txakoli, a crisp, white wine that pairs effortlessly with the region’s exquisite cuisine and has a slightly sparkling quality. We’ll then make our way to the peninsula of San Anton, also known as “The Mouse” due to its characteristic shape, to sit back and take in our seaside surroundings as we enjoy a picnic lunch full of local flavors. Afterward, we’ll check into our hotel and have a chance to freshen up before heading to dinner at Kaia Kaipe, a restaurant overlooking the water and featuring fresh, natural, and seasonal cuisine. 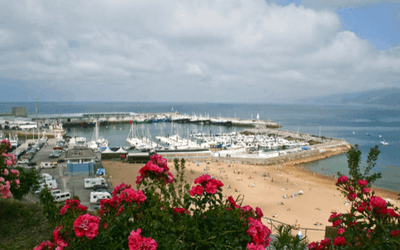 Today, we’ll cross the nearby border into France and the major fishing port and beach resort town of Saint-Jean-de-Luz, less than an hour away. There we will sample wonderful chocolates, breads, macarons, and other epicurean delicacies. After, you’ll have free time to stroll along the crashing waves of the waterfront and to pick out the perfect restaurant to enjoy a lunch of seafood that has recently been plucked from the sea (we’ll provide recommendations, of course!) with the mighty Pyrenees mountains as a backdrop. Then it’s back to Spain to the bustling city of San Sebastian. Tonight will be a late night as we’ll take to you MIMO, where Michelin-star trained chefs-in-the-making create extraordinary dishes, for an incredible Chef’s Table experience. A perfect way to end our last night together. "Wonderful way for a seasoned traveler to get a more intimate cultural experience in Spain." - Lynea K.
"This trip was all I dreamed it would be, and more! The food was so incredible ~ I had the time of my life! Just, a few more days would have made it even better! I made new friends and learned so much! This time in Spain will always be the sweetest of all my life experiences. Thank You!" - Threse F.
Nights 1, 2, & 3: Hotel Los Agustinos (Haro) The Hotel Agustinos dates back to 1373 when Don Diego Lopez de Haro built the licensed convent. Since then its incarnations have included a military garrison, hospital, prison, and school. Completely renovated in 2006, the hotel features a magnificent cloister which is covered in glass and wonderful accommodations. Nights 4 & 5: Hotel Saiaz (Getaria) Hotel Saiaz is converted from Gothic houses in the historic center and located on a narrow street of cobblestone. The hotel sits over the ocean and is minutes away from a wonderful beach, perfect for a swim before breakfast or dinner. The owner Mikel and his staff take excellent care of us. Accommodation upgrades available upon request. Please note: Hotels are subject to availability. If listed hotel is not available at time of tour, a hotel that is equal or better to the original will be secured. Not Included: Travel to and from destination, wine with meals, personal expenses, and optional gratuities to local staff and your Host. Travel insurance is also not included, though we highly recommend it. Check out our Travel Insurance page for more information. We meet at 1:30 PM on the first day of the tour in the heart of Bilbao, allowing you to arrive either that morning or the day before. The tour finishes in Bilbao in the early afternoon, allowing you to catch an evening flight home or to extend your stay in the area and continue your vacation.